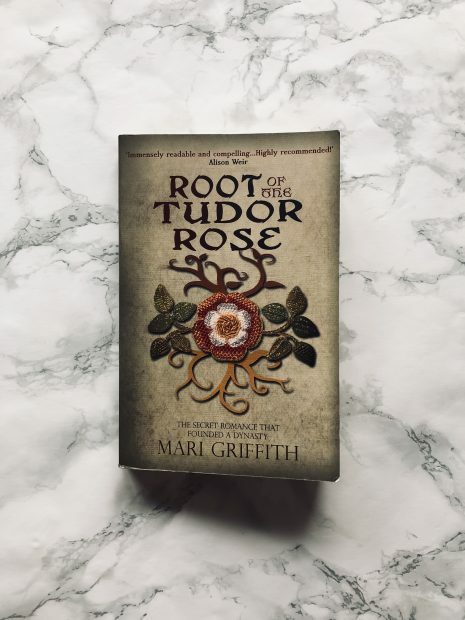 Root of the Tudor Rose by Mari Griffith has honestly made me fall in love with historical fiction all over again. I used to read quite a lot of historical fiction when I was younger, but then I just fell out of it for years. But I am so so so so so (x infinity) glad this book has entered my life. 1421: Henry V and his young bride, Catherine de Valois, are blessed with the birth of a son – but their happiness is short-lived. Catherine is widowed and when her father, the French king, also dies, her son inherits the crowns of France and England. Just ten months old, Henry VI needs all his mother’s watchful care to protect him from political intrigue. Root of the Tudor Rose is sort of like a gateway drug to me. When I closed the book, my insides were screaming “I NEED MORE HISTORICAL FICTION RIGHT NOW”. No joke. I was on the tube back and I totally must have pulled a face. Right from the start, this book is so beautifully rich in detail that it is a genuine pleasure to jump back a few hundred years and imagine yourself in all the commotion. There are a lot of characters, and that was too much for my little brain at times. But that’s definitely a faux pas with me. And there are very helpful family trees in the front of the book, which I totally adored flicking back to. I could have just read more and more of this story – there were times where I was like “well that escalated quickly”, and then it was immediate regret, because I just wanted to continue reading for another year or two. What an extraordinary book: forbidden love, deceit, and an appendix to make you google everything you’ve just read to find out whether it *could* have been true. You will not regret reading this book. Bookmark That approved. Be right back, going to order more historical fiction now. Liked this review? Read anything similar? I love conversing with you, so drop me an email or contact me through my homepage, and join the conversation on Twitter!